Diabetes is reaching epidemic proportions in the developed world. According to the World Health Organization: "Diabetes is a major threat to global public health that is rapidly getting worse, and the biggest impact is on adults of working age in developing countries. At least 171 million people worldwide have diabetes. This figure is likely to more than double by 2030 to reach 366 million." In this talk Tom Hunter of Glymetrix will speak about how they specifically built their diabetes management game to target adults with diabetes. Glymetrix not only targeted adults because they are a large patient population but also for aspects of adult cognition and how games fit into adult life. Glymetrix helps people with diabetes to manage their disease and insurance providers to lower overall medical costs by building online game-centered communities to create an interactive, motivational, and educational program for intensive diabetes management. The software is designed to improve self management of diabetes. In the process it generates data about diabetes management, learning and motivation. The management program is client server based, using the internet to connect patients and clinicians, and uses game like interaction to motivate, educate and generate an unprecedented level of data regarding patient activity. Glucoboy is another diabetes game participating in last year Changemakers' online competition Why Games Matter: A Prescription for Improving Health and Health Care. 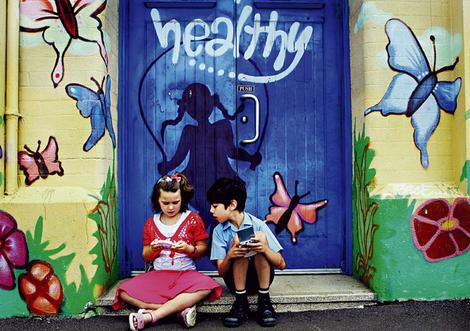 Diabetes is one of the most common chronic diseases in school-aged children. In the United States, about 176,500 people under 20 years of age have diabetes. About 1 in every 400 to 600 children has type 1 diabetes. Sometimes it can be difficult to keep these kids on track with their blood sugar testing and insulin compliance. So along comes inventor Paul Wessel to the rescue. 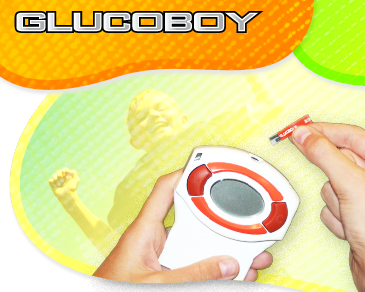 He has been working for years on bringing to market the Glucoboy game device. It took Mr. Wessel 3 years to obtain Nintendo’s approval to make this device. The development is well worth the wait. The Glucoboy may prove to play a critical role in providing the incentive for kids to be compliant with their blood sugar monitoring. 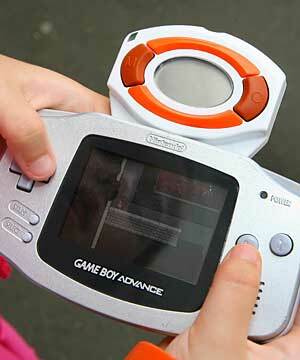 GlucoBoy, a game compatible with the Game Boy Advance or DS Lite, was launched in Australia on World Diabetes Day. The Glucoboy makes monitoring and achieving blood sugar goals fun. Whenever a user performs a glucose test, points are awarded which allows the user to unlock games. More points are awarded if the user’s blood sugar falls within the specified goals. The points may be spent in the game or the GRIP online community. Users post their scores to the GRIP community to see who has the best scores in a town, country, and world. There are 2-full length games along with a mini-arcade (3 additional games). Games are played by inserting the Glucoboy cartridge into the Nintendo Gameboy. Glucoboy is a tool in diabetes management. Not only is the Glucoboy a blood glucose meter, it is also a series of video games that rewards you for good testing habits. With Glucoboy, diabetes management morphs from a difficult living condition into a thrilling and educational video game. The product operates independently of the video game system but downloads video game programs that are contained within its circuitry into the Gameboy as a reward for maintaining good blood sugar control. With patients being responsible for their own diabetes management, the Glucoboy carries an essential dual role: providing accurate medical diagnosis for the disease as well as an incentive delivery platform which serves as a key portal for obtaining patient-critical medical data.